Weather publishing or converting to an ebook, IHP will work with you to format your print version into an eBook. 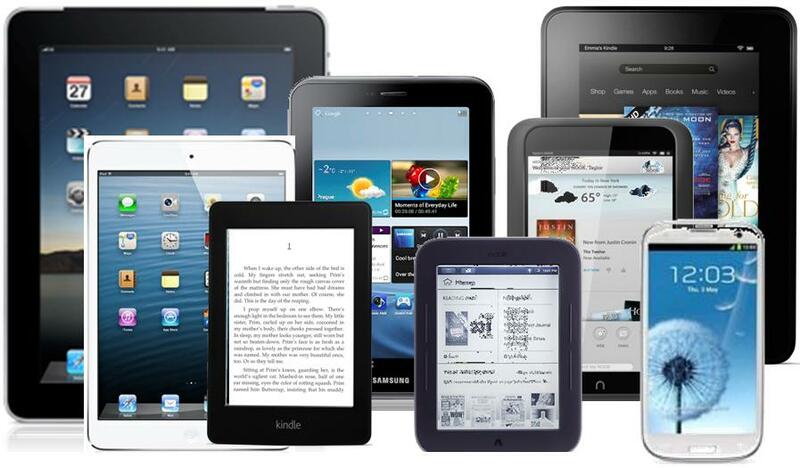 We distribute to all the major ebook retailers including Amazon, Apple, B&N, Sony, Ingram, and Kobo. IHP prepares your manuscript document for conversion: Converting a document into an ebook requires manual editing and formatting to make it function properly and look great. An automated conversion poorly done will lead to dissatisfied readers, bad reader reviews and poor sales. Our team of experts does our best to ensure that doesn't happen to your book. IHP assigns a unique ePub ISBN to your book: An "ISBN" is the unique identifying number for your ebook required by retailers to keep track of sales data and ebook information. It allows all booksellers to easily find your book. There is no extra charge for your ePub ISBN number when publishing with IHP. IHP converts your doc. file to many required eBook Types: It would be nice if all ebooks had one standard format, but unfortunately they don't. IHP formats your manuscript document to the unique format specifications for the major online ebook retailers. Again, we aim to make it function properly and look great on any device. IHP checks your Converted eBook for Quality: You can always use an extra set of eyes looking over your ebook before it is published. While we create your ebook, we correct any obvious errors we see along the way. When the files are converted, we open your ebook on eBook Reader Simulators to ensure the converted files look professional. IHP Distributes your eBook to the World (optional): Through our major online ebook retail partners, and our relationship with Ingram Digital, your ebook will be sold in the online stores that currently account for over 98% of all eBooks sold. IHP Pays You! : From this point, IHP pays you for all your ebook sales! Just like with the sales of your printed book, you'll earn a royalty for the sales of your ebook. Retail sales prices and author royalties vary depending on the sales channel or ebook retailer. Tell us you're ready to move forward with creating your eBook. To best serve you, we prefer to have a contract agreement. Complete our eBook Order Form to initiate your ebook conversion and return it to us via email. Pay just one fee for your ebook as a one-time formatting and distribution setup fee. No recurring monthly or yearly payments. Sit back, and relax! No need to spend hours following strict formatting guides - IHP does all the work for you! And we complete most conversions within a few days. Are you ready to publish your ebook? Use this form to contact us for more information and to submit your files for ebook conversion. Attach your manuscript. For ebook creation, IHP requires Word documents (not PDF's). You may submit PDF's as a sample of your work, however to create your ebook we require a Word doc.